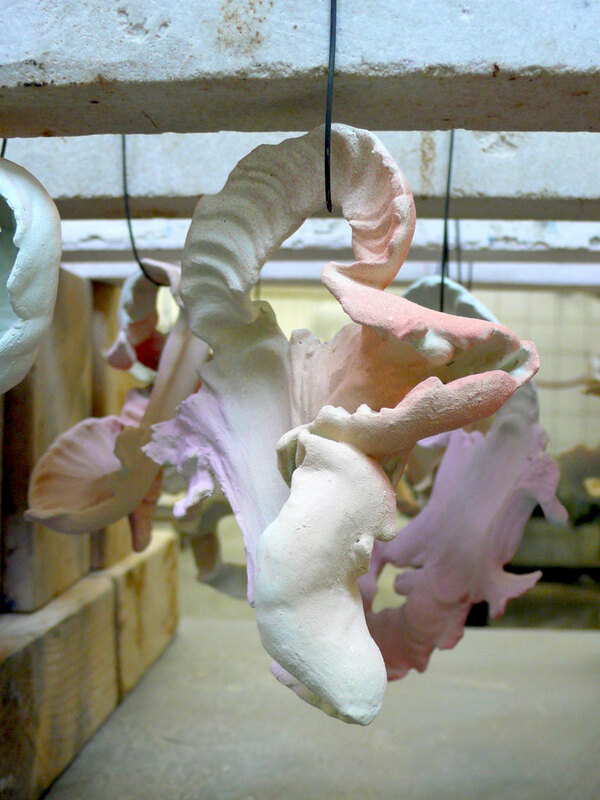 From May until July 2013 I will live and work at Sundaymorning@ekwc, the international ceramic work centre in Den Bosch in order to fully concentrate on new work. 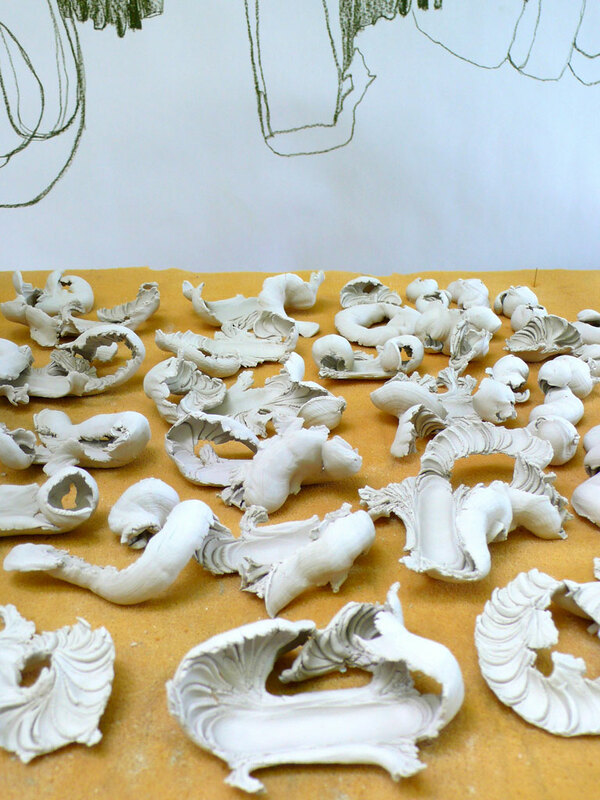 A novice in working with clay I will absorb myself for three months in this new material. Shifting mass is my theme and plan, i.e. the moving of mass or the displacement of volumes. 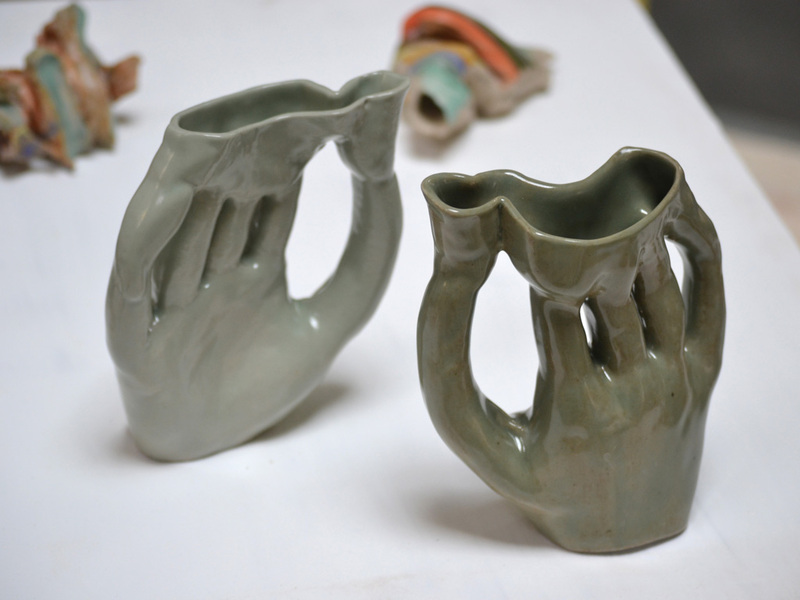 This is the starting point of my dynamic experiment with form, material and colour.